Little accidents can be easily and hygienically disposed of by using a flushable nappy liner in your babies cloth nappy. 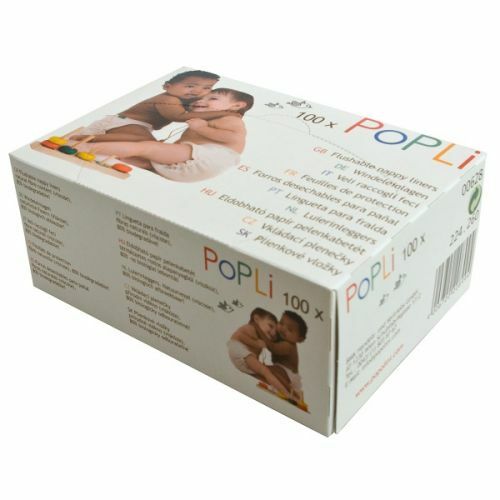 Popolini liners in a box are highly absorbent, soft and tear resistant and are thinner and larger in size than the newborn liner roll. In addition, the fleece keeps the skin drier, it quickly drains moisture and prevents it from coming back to the baby’s skin. These liners are quite long and wide which allows you to fold them to suit the nappy size and style required. They are smooth next to the skin and have not scrunched up or moved once positioned in the nappy. Does exactly what it says on the box. Lovely size. Slightly too large for my brand of nappy but better than too small! Sadly the product is only 80% biodegradable so I’m not convinced that they are suitable for long term use with a private septic system. Come in a stack of individual sheets. Pre-folded into smaller rectangles but when you open them up completely they're huge! Very wide & long. I keep them unfolded & they catch poo very well. Not washable after wees unfortunately. These liners are really big so it makes life so much easier when making up nappies as they wrap right around, meaning no mess at all on the nappy. Best so far, I love these. 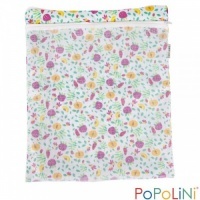 I love these nappy liners because they are flushable, so any mess can go straight in the loo. They are quite big, so I cut them in half, which has the added bonus of making them last twice as long. I also wash any that haven't been soiled along with the rest of the nappy stuff and they're good to be used again, meaning one box really does last ages! !